I don't update this blog very much any more, as the majority of my film review work now happens in my role as Associate Editor for We Got This Covered, but I just published a review I had been so very excited to write, and I wanted to share it with all my readers. 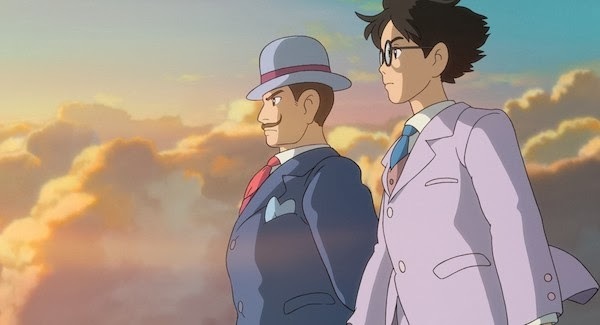 Longtime followers will know that my favorite director is Hayao Miyazaki, and so it was with great anticipation that I was finally able to see his new film, The Wind Rises, releases this summer in Japan. I cannot reprint the review here, of course, but I wanted to direct blog readers towards it. Follow this link to read my review of the film, and please feel free to leave comments, here or at We Got This Covered, with thoughts and questions. Suffice it to say, I am a very, very big fan of this film, and am excited for more fans to have the chance to experience it. It's not that often a film comes along I am this excited to write about, let alone see, but The Wind Rises is a special case. Please enjoy the review, and follow me on Twitter @JonathanLack for updates on reviews, podcasts, and more! Read my review of "The Wind Rises" at We Got This Covered.